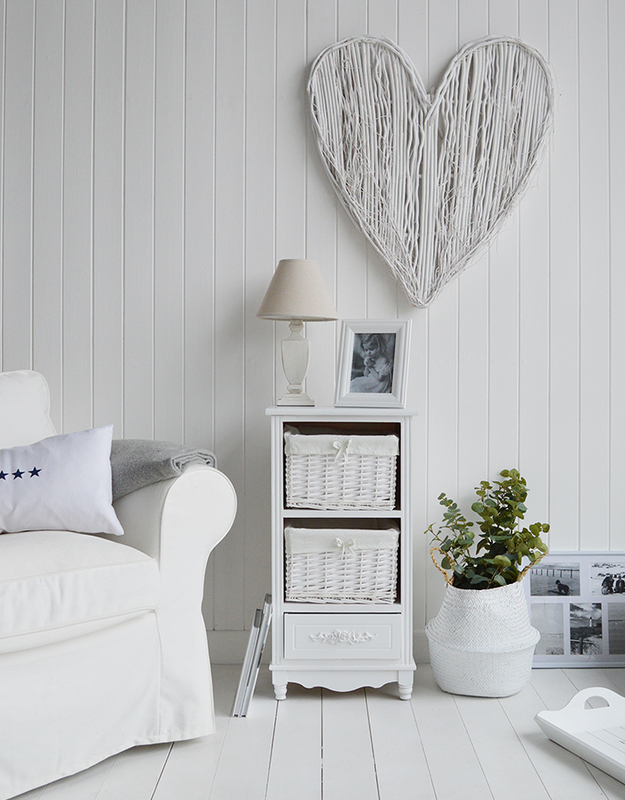 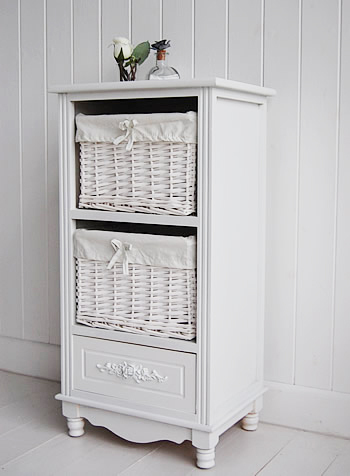 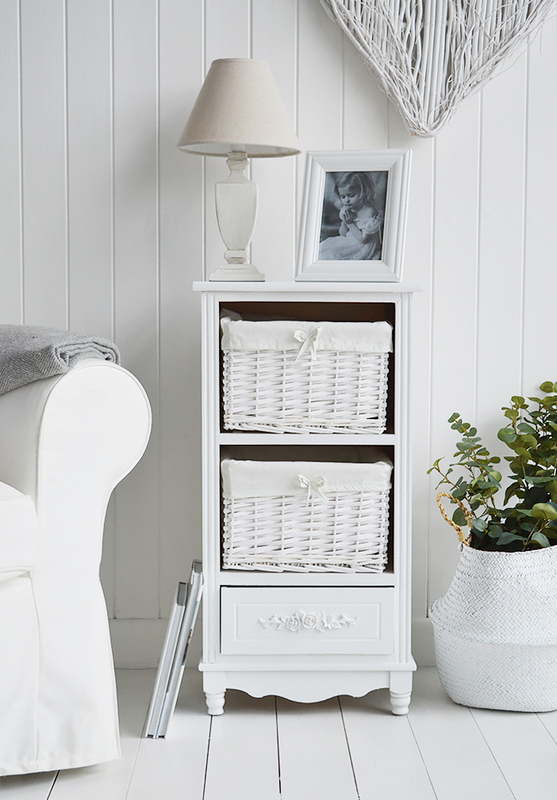 The Rose White Storage furniture. 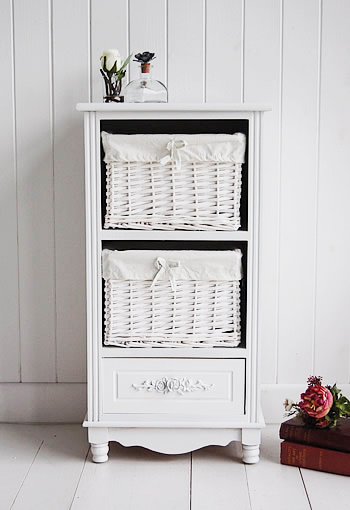 A painted white storage with three drawers. 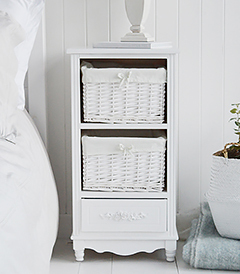 The top two drawers are large white lined baskets, while the bottom drawer has a pretty carved Rose pull handle. 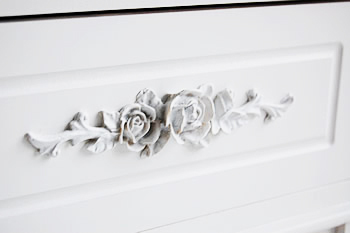 The carved legs, feets and sides add a touch of elegance to this furniture. 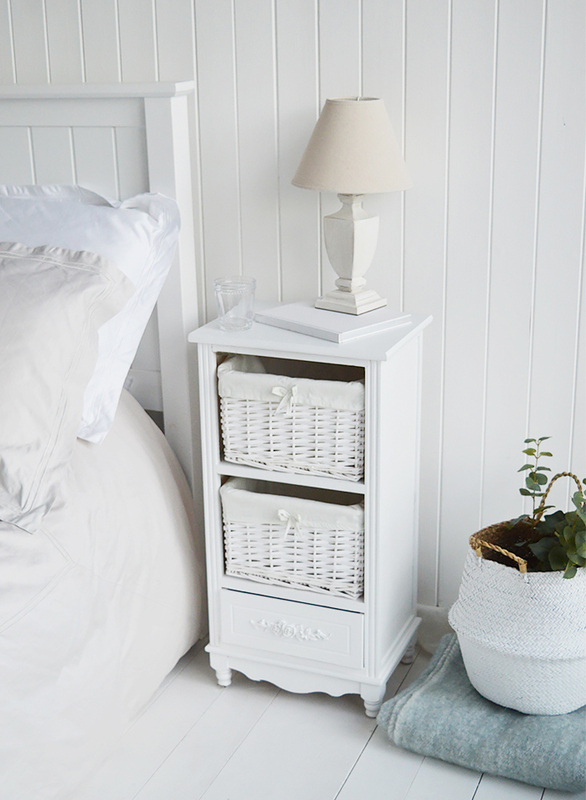 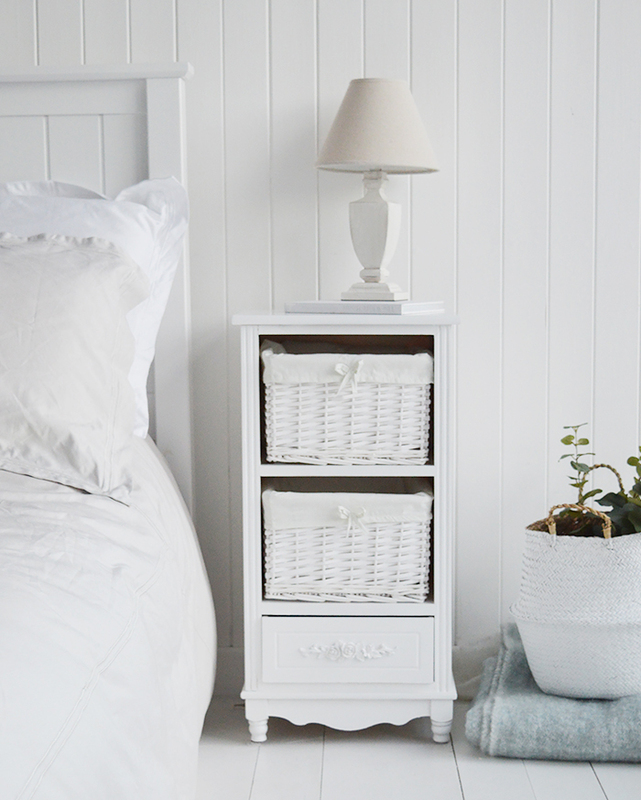 A bedside table in the bedroom, toys for Cottage Kids, bathroom storage or lamp table in living room or hallway.